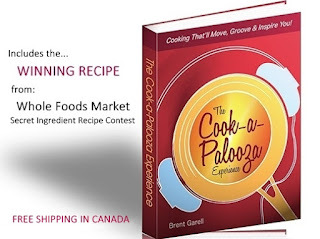 The Cook-a-Palooza Experience: Toasted Orzo with Chives - Are You Ready for It? Toasted Orzo with Chives - Are You Ready for It? I get excited when I come across a recipe idea where the creator of the recipe has used an ingredient I love and changed the dynamics of it. For instance, I really enjoy using orzo in my dishes and I recently saw an article in a magazine about toasting orzo on a baking sheet in the oven. Of course I had to give it a try! The process is simple. 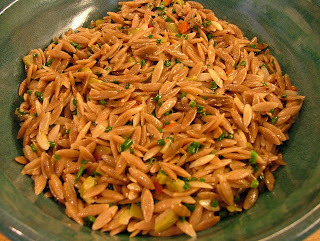 Scatter orzo on a baking sheet and place in a 350º F oven until the orzo begins to brown, about 4 minutes. Then you cook the orzo in boiling water as you normally would. 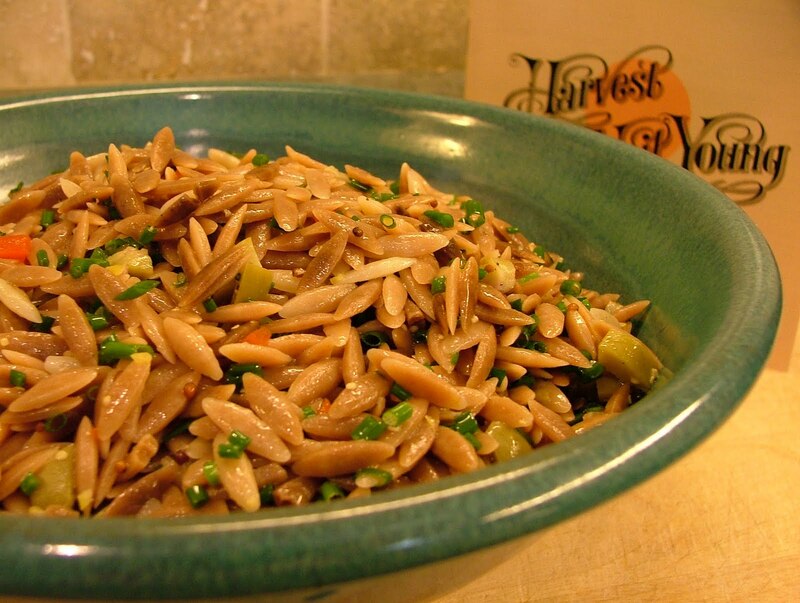 By browning the orzo you end up adding a nutty flavor to it. The taste reminded me of the country, which brought to mind Neil Young’s song “Are You Ready For the County” off his Harvest CD. 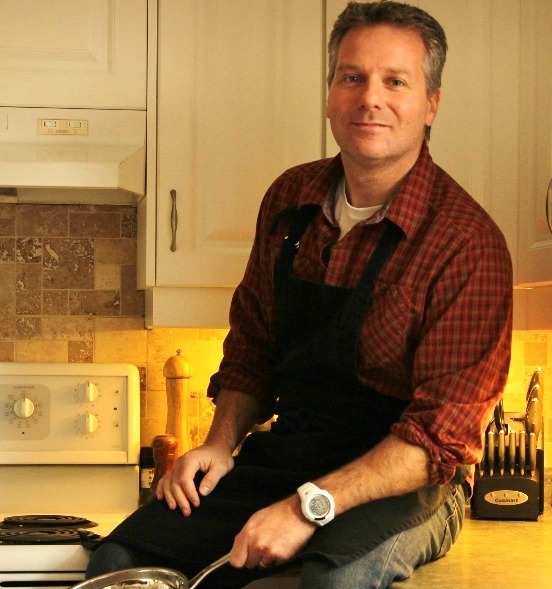 By the way, Harvest is a fantastic CD to listen to while cooking if you’re looking to be surrounded by a laid-back, kick your feet up type of mood in your kitchen. I added a mild dressing to the orzo along with chopped chives from my garden. For a salty finish I tossed in some chopped olives. If you’ve never tasted toasted orzo before it does take some getting used to at first. 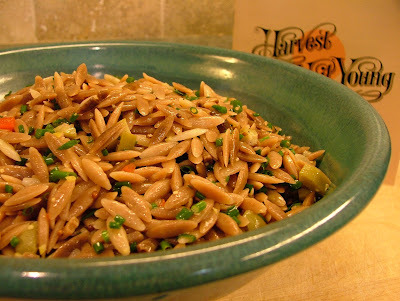 So if your ready for a country flavored orzo, then give this one a go! Place orzo on a large baking sheet. Bake in a 350º F oven until slightly browned, about 4 minutes. In a medium saucepan cook browned orzo in boiling salted water until tender, about 8 minutes. Drain. Rinse under cold water and drain again. To make dressing, in a small bowl whisk together oil, vinegar, lemon juice, mustard, honey, salt and pepper. In a serving bowl toss cooked orzo with dressing, chives and olives. Season with salt and pepper.